Santa Dave T is a Real Bearded Santa. 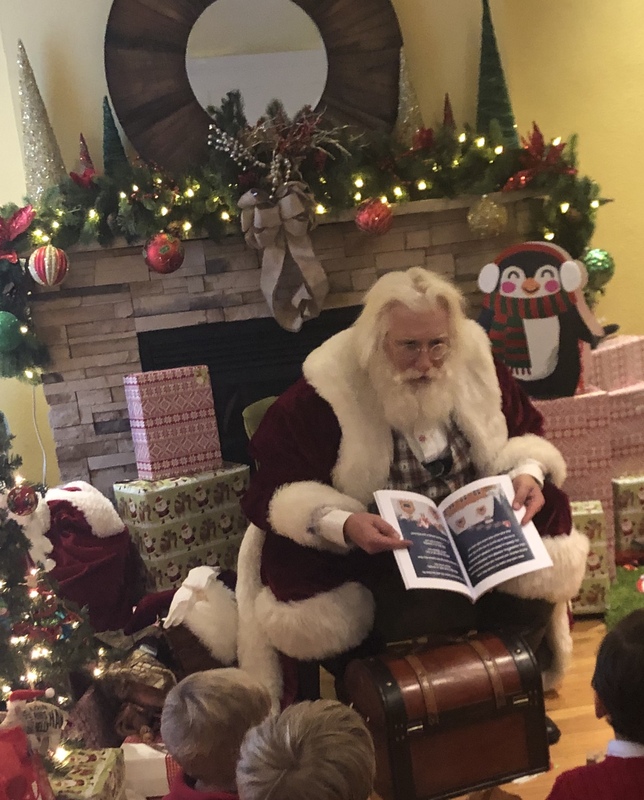 ♦ Santa enjoys reading stories to children of ALL ages! 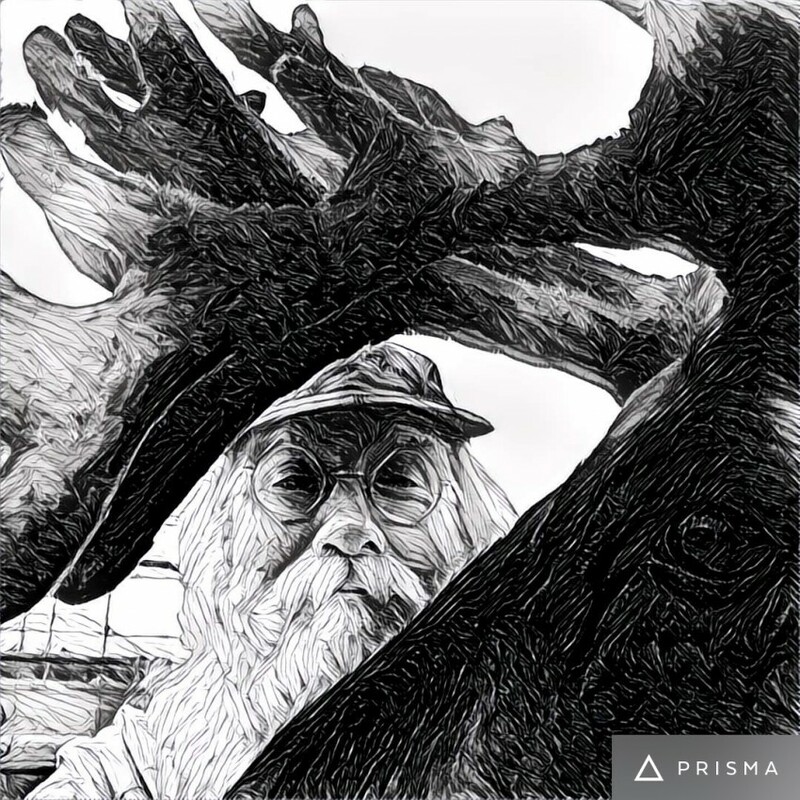 ♦ He has worked with children for over 30 years. 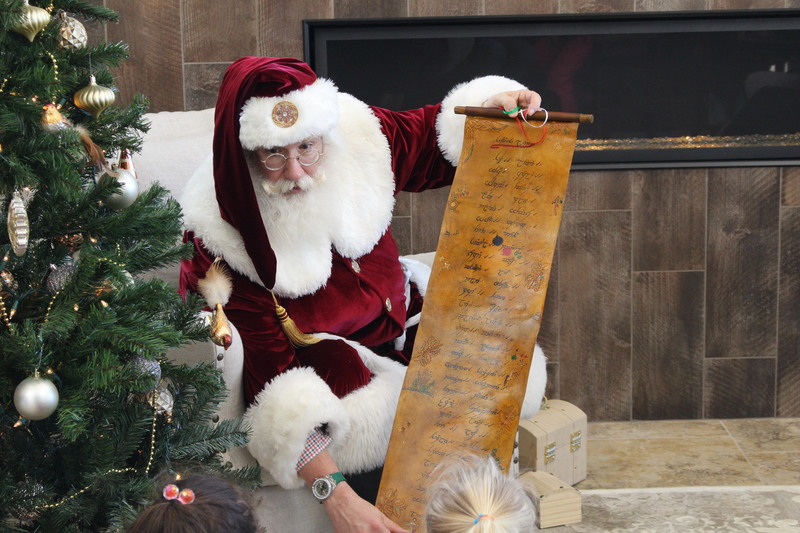 ♦ Santa is a graduate of The International University of Santa Claus and The Saint Nicholas Institute. 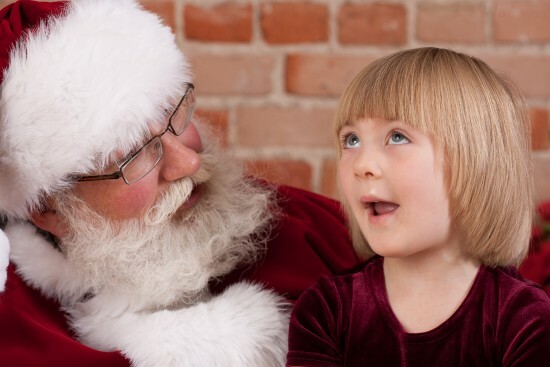 ♦ Santa is fully background checked and insured. 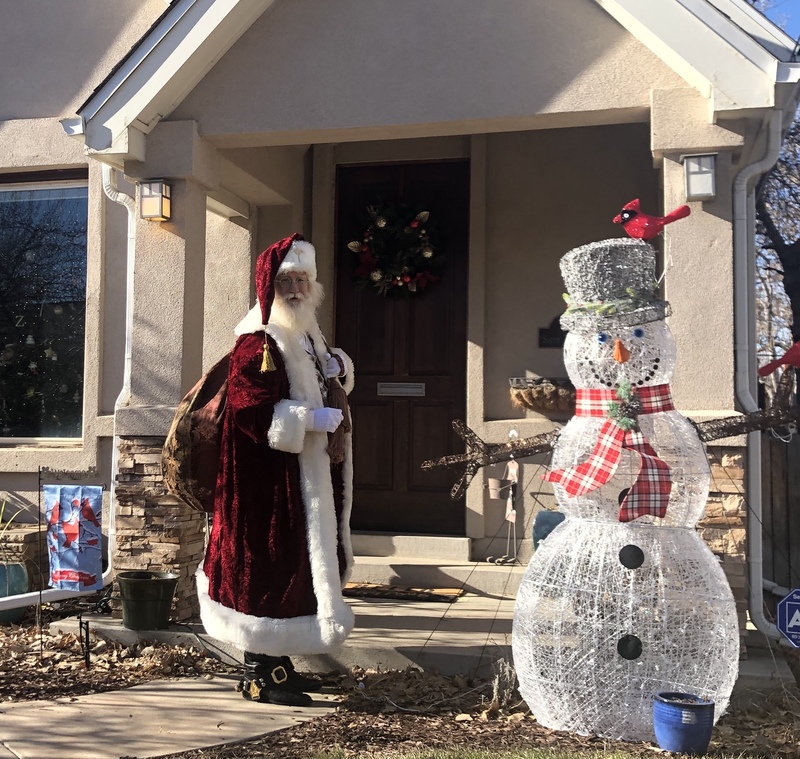 Appearances at The Holly Leaf, Bass Pro Shops, Doherty Craft Fair, Ft. Carson, Harley's Hope, LineofSight Photography, North Library, Ken Caryl Ranch, The Antlers, Cordera, Mended Hearts, Flying Horse and many more. Santa arrived when promised. We loved him and will use him every year if possible. 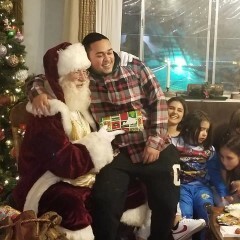 Santa Dave came to our event with about 25 kids under 5 years old. He did a fun Q&A session, did some cute magic tricks, and read The Night Before Christmas. 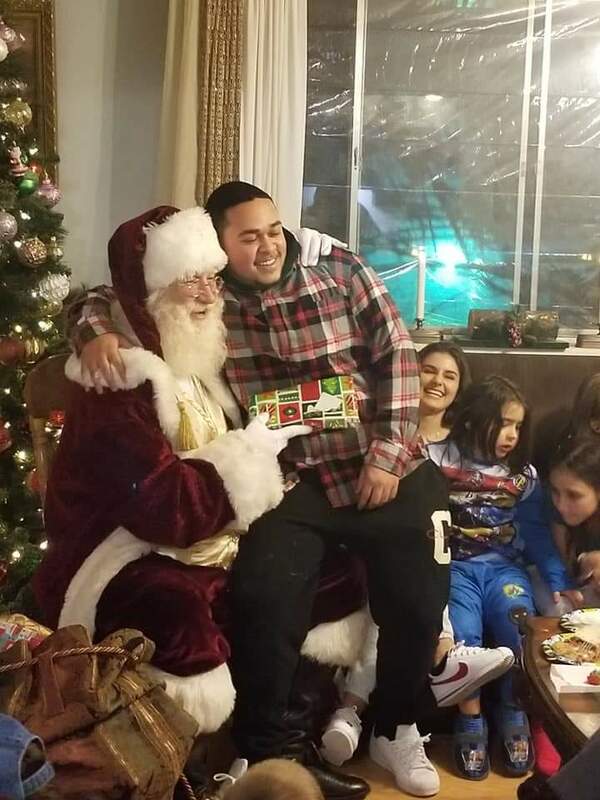 All the kids had a great time and I heard from many of the parents how much their kids love Santa Dave. I would highly recommend Santa Dave. Santa was amazing, yet again! 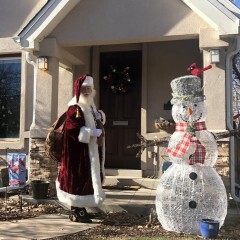 We have seen Santa Dave for four years in a row now, two of which we have hosted him in our home. He is the absolute best. He is patient and very friendly. I love that he allows photos and questions. He is the absolute definition of Christmas. Dave attended our event as St Nick, and went above and beyond. Will definitely be using him again!! Perfection! Santa Dave is amazing. We couldn’t have been happier with Santa Dave. 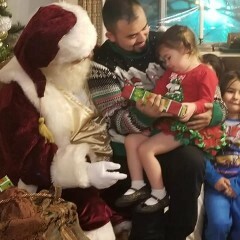 We hosted our first ever Santa Party for family and close friends and he made it the most magical and memorable experience for kids and adults. Everyone who attended couldn’t get over how perfect he was. People who saw the pics I posted couldn’t believe it either. 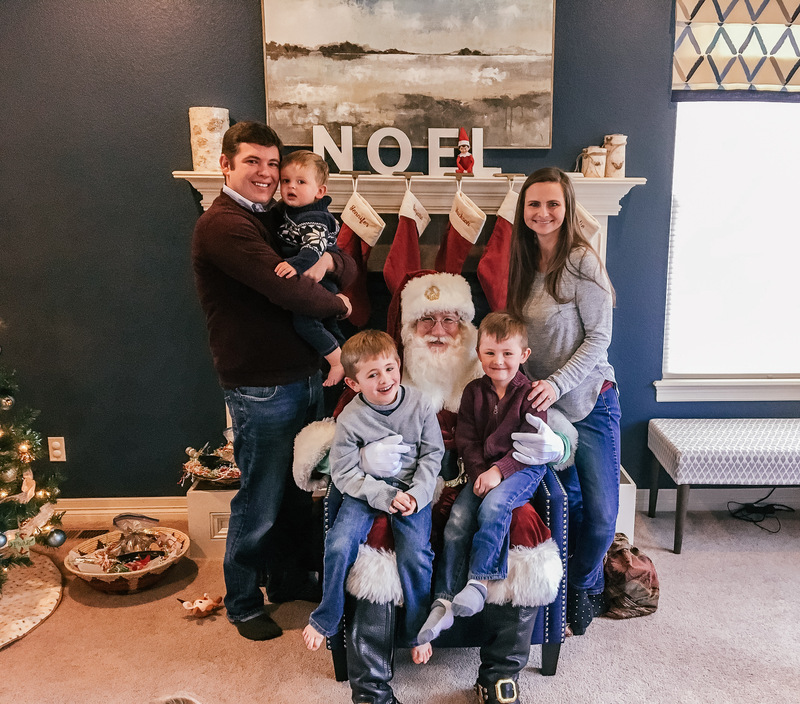 We are so excited to have found Santa Dave and can’t wait to continue this magical tradition each December. Santa Dave was a pro and so patient with picture taking. 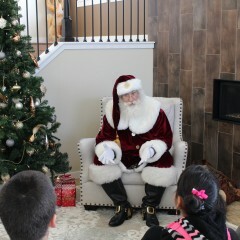 He had an awesome Q &A session with the kids, did a few magic tricks, and then told them the night before Christmas story. He handed out little sleigh bell necklaces I had made the kids and candy canes. On the way out my four year old daughter ran a picture she had colored outside to give to him and he told her he was going to hang it up in his workshop. She was so excited she talked about it at bedtime. Santa Dave never let things get boring. When the kids were done asking him questions he began to tell stories aided with magical oddments from his big sack. His costume was amazing, and when a small girl carefully felt in his (real) beard he accepted it with perfect grace. We were very pleased. Santa Dave T was the best!! He was the 'real' Santa!! Not some guy dressed in a Santa suit!!! He was more than we could have hoped for. The kids and parents loved him too. Santa Dave T played with the kids and seemed to be enjoying them as much as they enjoyed him. Santa Dave was amazing. Even though I am a grown up of many years, for a few minutes I really believed in Santa Claus again. The children were mesmerized by his props and stories. Afterwards many of the adults at our party commented on how wonderful he was. Santa Dave was Amazing!!! He made our event a huge success and everyone loved him. We will definitely be contacting him for future events. Nothing but great things to say. Comes prepared with Santa’s sack full of magic. Santa Dave T was absolutely phenomenal!! His story-time captivated the children for 45 minutes straight!! He tackled tough questions from curious kids with wits and humor. His costume was elegant and well tailored. 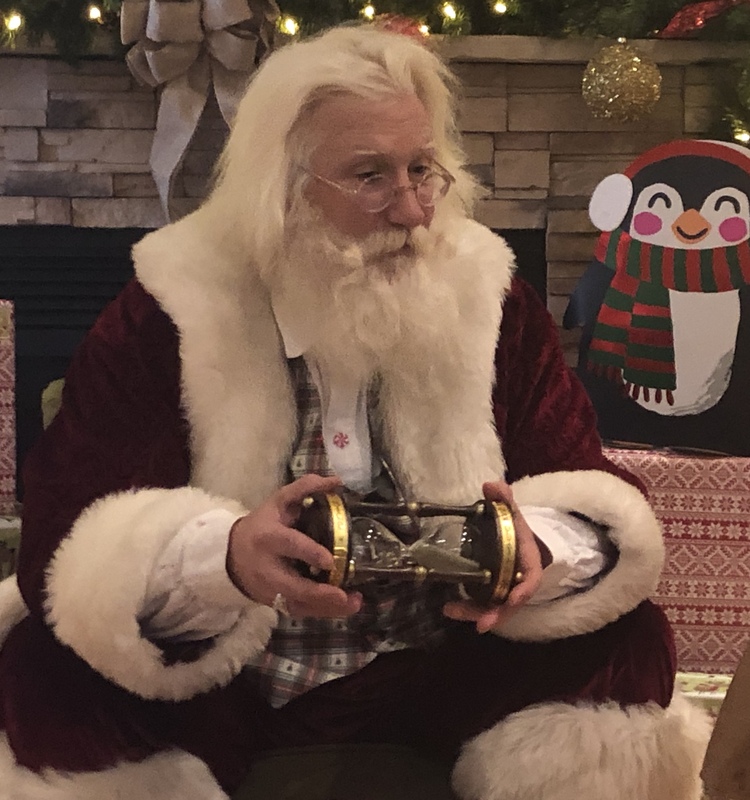 Santa Dave's entire look was 100% Classic Santa from the 19th century. We will certainly book him every Christmas. What a wonderful experience with Santa Dave T! Highly recommended! Was extremely happy with our choice for our event. We were given multiple comments on how great Santa Claus was throughout the night. He was a pleasure to work with and truly enjoys what he does. Santa Dave was so much more than we anticipated. The kids were mesmerized by him! 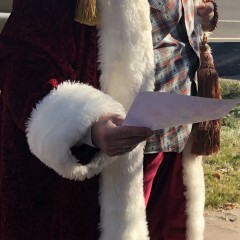 He was wonderful at talking to them, telling stories, explaining the lore of Santa, and handing out presents. We couldn't be happier! Highly recommended! 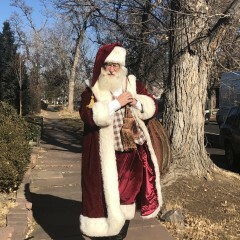 Santa Dave really made our neighborhood event a hit! He was fabulous with the kiddos and even played on the floor with the babies. 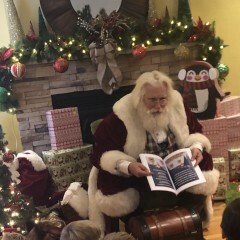 The kids loved learning about the naughty or nice list and enjoyed the book he read them. Thank you so much for helping make our event magical! 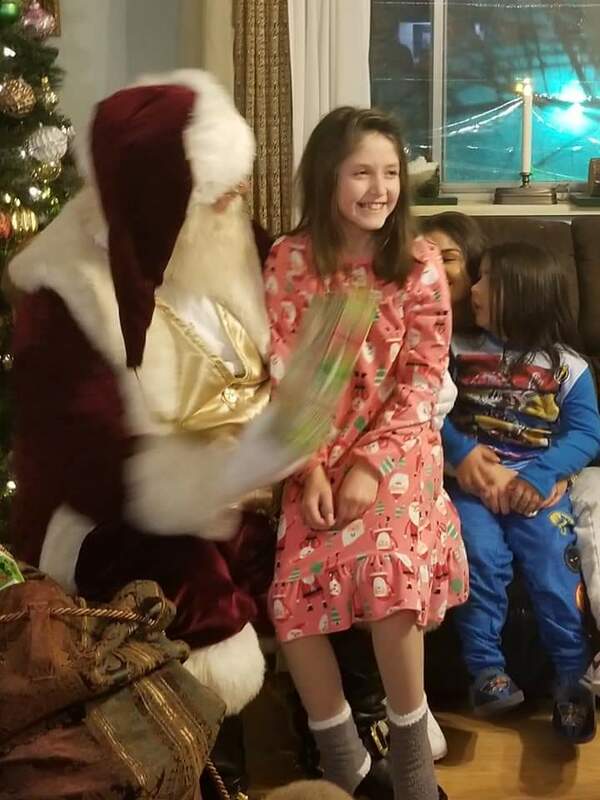 We had a wonderful visit from Santa at our Christmas party last night. The kids were in awe and all the parents were so impressed with his visit. Thanks Santa Dave! 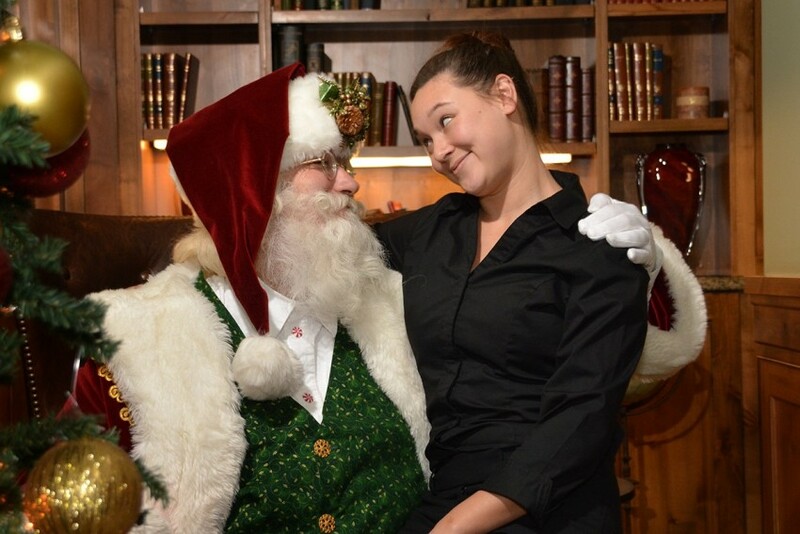 Seriously, this is the Santa you want for ALL your events! He is so welcoming and genuine. The real deal for sure! Our party was a huge hit with the patients, guests and staff. 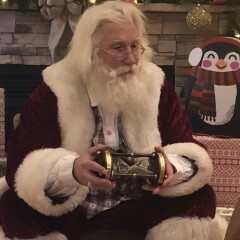 The biggest comment was on how wonderful the Santa was! Santa Dave was a huge hit and we will definitely be booking for next year. Santa Dave is nothing short of the truest meaning of Christmas. 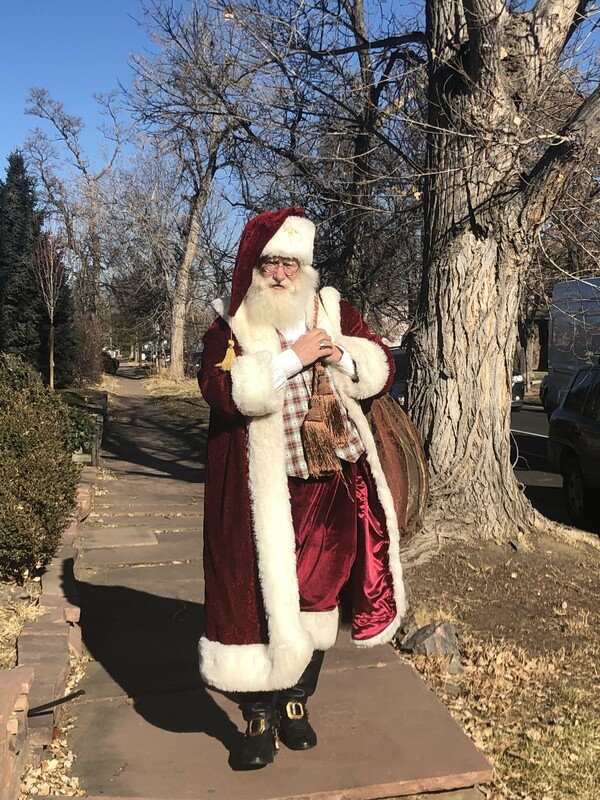 From the minute he enters the door, my family young and old are mesmerized by his sincerest message of kindest and goodwill towards all. He really is the REAL deal. My grand daughter said he has a very comfy lap. This was a fabulous experience. Santa Dave T was perfect with a bunch of pretty excited children. He read stories and was TOTALLY engaging. 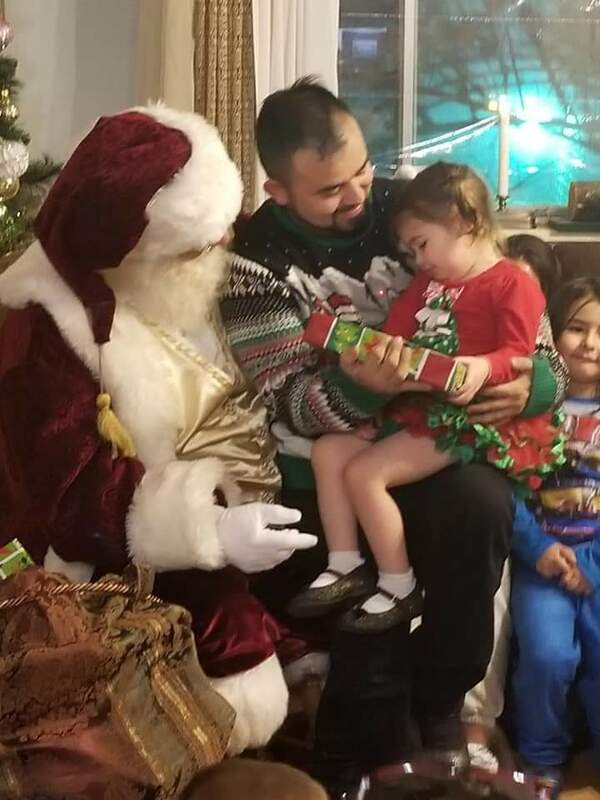 He took time with each of the kids and worked with the families to get a great photo with Santa. I would highly recommend him and plan on using him next year as well! 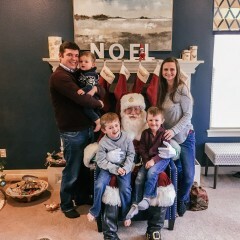 I'm not sure who was more excited to see Santa Dave, my grandchildren or my grown children. Santa was on time and absolutely provided all the magic you would want for your holiday party. 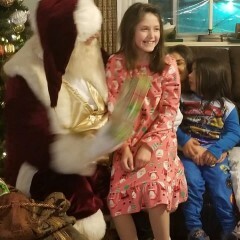 Everyone is still talking about how wonderful our evening was due to Santa's visit. I love to story tell about my life at the North Pole. I love to read stories. I can show them the naughty and nice meter that is kept in the Hall of Records at the North Pole. 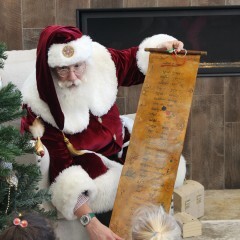 I can show them the list which is a leather scroll written in elfin. I can make snow and many other tricks. I can lead a sing a long. I can do presentations on How St. Nicholas became Santa Claus, The three first gifts and the symbols of Christmas. And of course all the pictures and gift giving you would like. I was called to portray St. Nicholas/Santa Claus in 2009 and since then I have cherished my good works. I have appeared in many places along the front range and beyond. 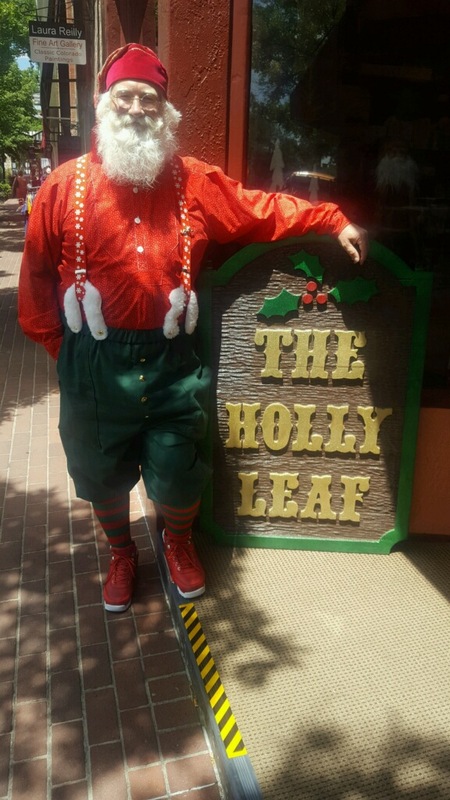 I can be found at Bass Pro Shop, The Holly Leaf, Military Instillations, Hospitals, Businesses, Photo shoots, family gatherings, Hospice and Make-A-Wish. I have my own sleigh! 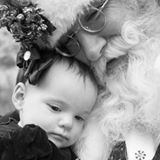 Children are the light of the world and to help them believe in the Christmas spirit year round is my wish so that we can have peace, joy, kindness, compassion and giving to others. I know the reason for the season and that is why I was called for this mission. if you want toys handed out I will need them someplace out of sight so that I can load my toy bag. I can give you the rest when we book. Work at an orphanage was the experience that told me that this was my ministry. Working in Hospitals and with the Military motivate me each day. I have spent a lifetime teaching children to dream big, follow there dreams and to believe in themselves. 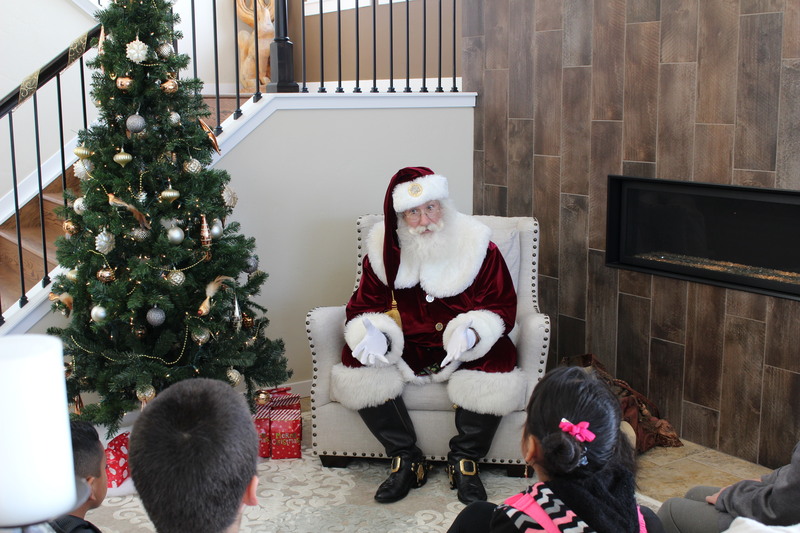 Recent review: We had a excellent Santa and the children loved him.